A paragraph or two outlining doctor's career, honors; approximately 150-200 words. Dr. Hafeez received his bachelor of medicine and surgery from Dhaka Medical College, Bangladesh, in 1979. 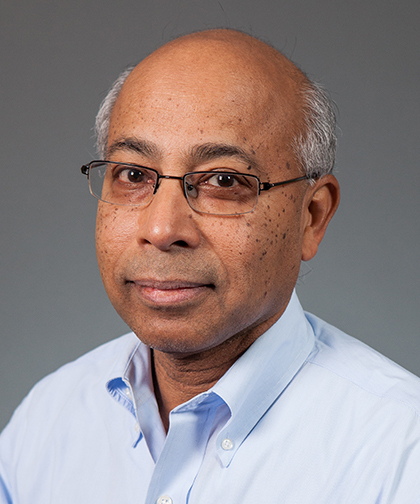 He completed residencies in pediatrics at Dhaka Children's Hospital, Bangladesh, and at Westchester County Medical Center, and he also completed a research fellowship in pediatrics at Washington University School of Medicine, St. Louis. Since 1990 Dr. Hafeez has been working as an attending physician in Pediatric Emergency Medicine at The Children’s Hospital at Montefiore (CHAM), and he is board certified in pediatrics and pediatric emergency medicine. Dr. Hafeez has received the Kazi Uzair Award for dedication to Pediatrics, at New York Medical College, the Residents Choice Award for Best ER Attending Physician, at CHAM; Master Teacher, at Albert Einstein College of Medicine; and the Lewis M. Fraad Award for excellence in teaching, at CHAM. A member of the Training Center faculty and Medical Director of Pediatric Advanced Life Support (PALS) at the Montefiore Life Support Training Center, Dr. Hafeez is also a member of the Pediatrics Ethics and Humanism Curriculum Committee at CHAM. Dr. Hafeez has published research articles on alpha-1-antitrypsin. In addition, he completed a Phase IV multicenter trial of the drug Hylenex for dehydrated pediatric patients, and he has published journal articles on diabetic ketoacidosis (DKA), testicular torsion, intraosseous access, and ethical and professional training issues for residents and students. He has written textbook chapters on procedural sedation and pain management techniques, irritability in infants, and resuscitation.